The House Appropriations Committee on Friday afternoon is expected to find $250 million in Gov. Larry Hogan’s proposed $40 billion budget to fully fund education aid formulas and a state employee pay bump. State employees already began receiving the 2% cost-of-living pay increase in January, and this will continue it through the year. The committee will also restore some money to social and health programs, such as care for those with developmental disabilities. To come up with the money, the committee is expected to change a pension funding formula, reducing contributions by $70 million next year and slowing repayments to a local income tax reserve fund that Hogan had temporarily tapped for $100 million. Appropriations subcommittees have already come up with millions in adjustments here and there in other budget areas. The committee’s changes only represent about a 1.5% increase in the $16.2 billion in general fund spending Hogan has proposed, and just 0.6% of the overall budget. 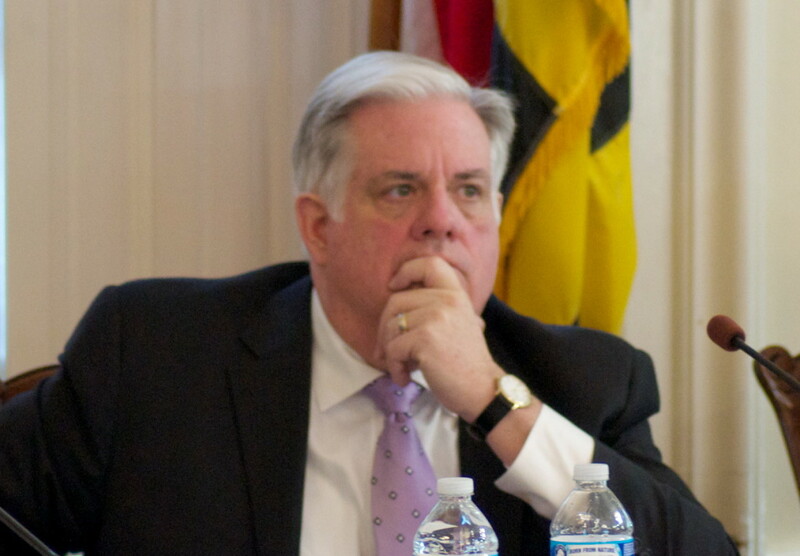 Other Hogan reductions in spending growth mandated by funding formulas will remain in place. For instance, state employees will still not be getting about $90 million in length-of-service increments. The committee’s actions are designed to satisfy teachers and education advocates, as well as the state employee unions that negotiated the pay hike. In exchange for these gains, they must go along with the legislature’s permanent reneging on a pledge to contribute an added $300 million to their pension fund each year. Lawmakers made this pledge in 2011 when they increased retirement contributions from 5% to 7% of salaries for teachers and state workers. The legislature has never fully funded the extra pension payments. The committee’s action will also undermine Hogan’s goal of getting future structural deficits under control by setting a new baseline for education funding and employee salaries. The increases in spending for education and the base pay of state workers will need to be cooked into future budget projections. However, the change in the pension funding formula saves $200 million to $300 million a year over the next five years, providing a cushion for spending growth. The change in pension funding to the full actuarial contribution only starts costing state taxpayers more money 10 years from now, ultimately $2.5 billion more in the long run. What will Hogan or rating agencies do? Other than negotiate for alternatives, it is not clear what if anything Hogan can do about the proposed changes, or whether the Senate will fully go along with the House action. Many of the changes require adjustments to laws and formulas in the annual Budget Reconciliation and Financing Act, a companion to the budget that changes formulas, mandates and entitlements. Hogan could veto that bill, but that would unbalance the budget — requiring drastic budget action, or a special session of the legislature. It is also not clear what the bond rating agencies will say about the reduction in pension contributions. They have advocated for full actuarial funding, but they have also consistently complained about Maryland’s past failures to fully fund promised pension contributions.